coarse roti mixed with bitter wild leaves that killed hunger. Entire villages had emptied out, as there was no work, water or food. elections in Uttar Pradesh by the BSP chief Ms Mayawati. tangibly improve the lives of millions of impoverished people. the landmark elections in Bihar last winter. harassment by Muslim boys, and Muslim personal law. 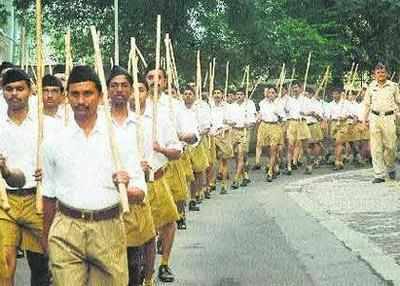 In fact the 1% intolerant, violent, militant, shooting, lynching, lunatic, mentally retarded chitpawan brahmin RSS (Rakshasa Swayam Sevaks) - a stealth, shadowy, discriminatory cult that seeks to establish a hindutva cult, have been painted as the worst terrorists by American press. They instigate violence for the greed of power. founded in 1925 by the chitpawan brahmin who are the owners of Vir Savarkar, the notorious and dreaded murderer nathuram godse, Rakshasa Swayam Sevaks (RSS), Hindumaha Sabha etc. RSS, which gobbled the Master Key by tampering the fraud EVMs. The present CEC says that entire EVMs will be replaced in 2019 without saying that Paper Ballots will be used til then. The paper ballots enabled the BSP capture the UP Panchayat Elections which lost in the 2014 Lok Sabha elections because of these fraud EVMs. symbolise for Muslims the insecurity and injustice of their lives. they are portrayed as the danger to the rest of us. against the BJP-RSS combine in many other parts of the Country.SC/STs/OBCs/Muslims and the poor UCs will cement a new social alliance for Sarvajan Hitay Sarvajan Sukhaya. 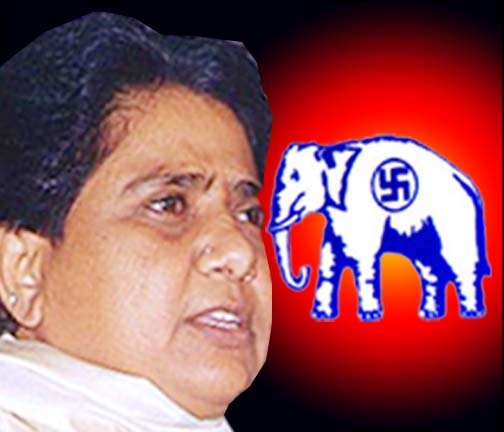 Mayawati will form the next government in Lucknow and will be the next PM of Prabuddha Bharath. Maharashtra and the 2007 Samjhauta Express bombings among others. Mushrif, however, asserted that “saffron terror” had no bearing on which party was in power as the chitpawan brahmins are the owners of Congress and BJP. and oppress the Sarvajan Samaj. truth behind the killing of the Mumbai Anti-Terrorism Squad chief. the sensational claims in his book “Who Killed Karkare”. donations from our workers,” he said. Decision to demonetise Rs 500 and Rs 1000 notes will not “yield the desired result” of unearthing black money. It will burden daily wagers, fishermen, small businesses, traders and vendors. businesses, traders and vendors selling at the door step. unearthed money. This later his supporters termed as a jumla. had helped it to capture power along with the tampering of the fraud EVMs. with the words “not known”. As many as 17 of the 22 Cabinet are crorepatis. Indira Gandhi, who has assets to the tune of Rs 37.68 crore. Najma Heptulla with assets of Rs 29.70 crore. Rs 2.73 crore, besides some agriculture land in Palwal, Haryana. has assets of Rs 3.34 crore. assets worth Rs 29.82 crore. Gajpati Raju has assets worth Rs 3.32 crore. 72.11 lakh, while Prakash Javadekar has assets of about Rs 1.05 crore. Gehlot has assets worth about Rs 2.08 crore. This country’s black money in Swiss Bank is Rs, 358,679,863,300,000 (estimated (1.3 trillion dollars). this money belongs to 2000 people of this country who have kept there to evede from tax. This money is enough for our country to become 10 americas and become one of the most powerful developed countries in the world for next 100 years. Please raise your hand by forwarding it to your friends and relatives. Team (SIT) and the court too. Any predictions before the list come out tomorrow; please mention in the comment section below! true is for you to judge (amount in crores). will be hit with an embarrassing bomb. people to influence voting pattern is very common in rural areas. former professor of political science at Lucknow University. shop selling campaign material in Lucknow, said. to buy the campaign material,” he said. Cambridge, he became a professional pilot for Indian Airlines. non-Hindu Indians is hard to say.Hindu outfits even celebrated his birthday and forecast his victory well before the actual results in an attempt to RSSize Trump and US. This implies serious ramifications on free trade, immigration, outsourcing etc. area to watch out for, for increased stress points. the H1B be required to hire American workers before hiring foreigners. Therefore, his accession to the White House would certainly be frowned upon by many. Modi’s flagship ‘Make in India’ . His conservative approach is also obvious in his electoral slogans, ‘Make America Great Again’ and ‘America First’.